We all know what’s it like when you are tired, but hungry and all you want to do is just lay while the lunch is preparing itself. But, those things don’t happen in real life and it’s us who have to prepare it, if we want a tasty, healthy homemade food. For those of you who lead a vegan lifestyle and for any others who like the food presented below, the recipes are all plant based and you don’t need to be a kitchen master to prepare it. In fact, many of the recipes are for beginner level of skills. Check out the ten amazing recipes and enjoy your meal! Vegetables for lunch, yes please! 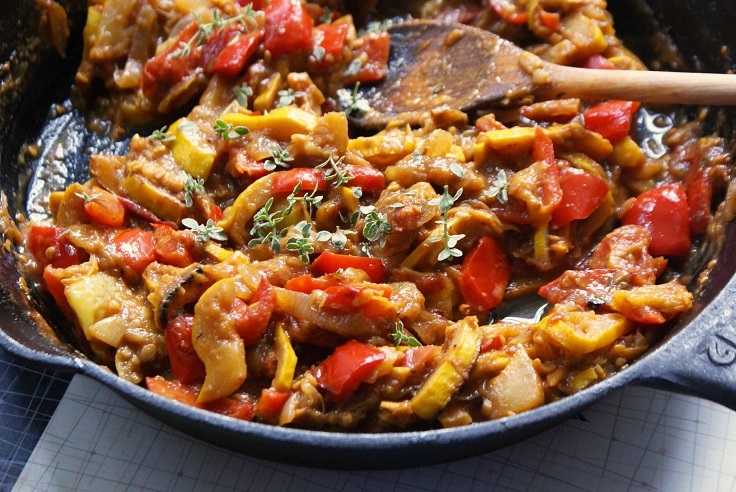 In this case, you need zucchini, yellow squash, red onion, Japanese eggplant and Shiitake mushrooms, and for a better taste you can use black pepper, freshly chopped rosemary, oregano, red wine vinegar and celery seeds. The preparation is very simple. Place the vegetables in a pot, season them with the spices and grill them. When they are ready, leave the pot to cool for some time and the final step is dicing the vegetables. A toast that can be gladly eaten for breakfast, lunch, dinner, anytime you want, because hey, who can resist? For this toast, you need sweet potatoes, chives and spicy arugula. Peel the sweet potatoes, cut them in cubes and steam them. Toss them with mustard, olive oil, lemon juice and a handful of chopped chives. 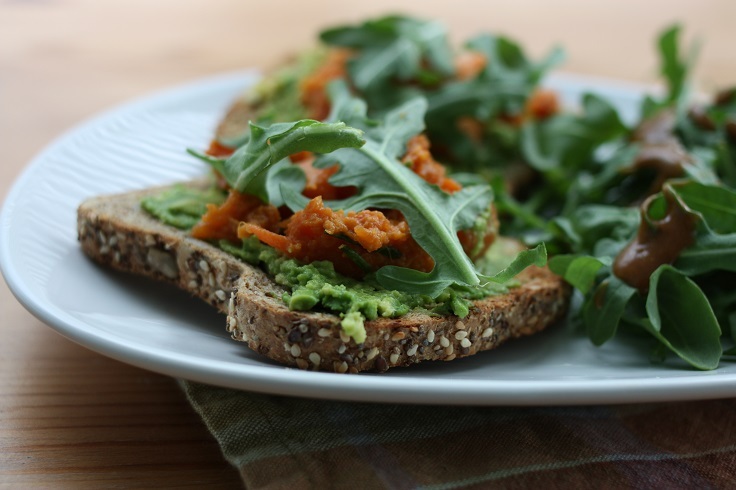 Add avocado puree on the toast bread and them add the sweet potato mixture and little arugula. It’s that simple and it’s done in no time. This toast is welcomed especially when you are in hurry. Pasta, one of the most delicious meals one can have. The great thing about this one is that is done within 15 minutes. While the pasta boils, make the sauce by placing garlic, basil and pulse to mince and add lemon juice, oil, avocado flesh and process the food until the mix is smooth. If the sauce is too thick, just add a tablespoon of water. 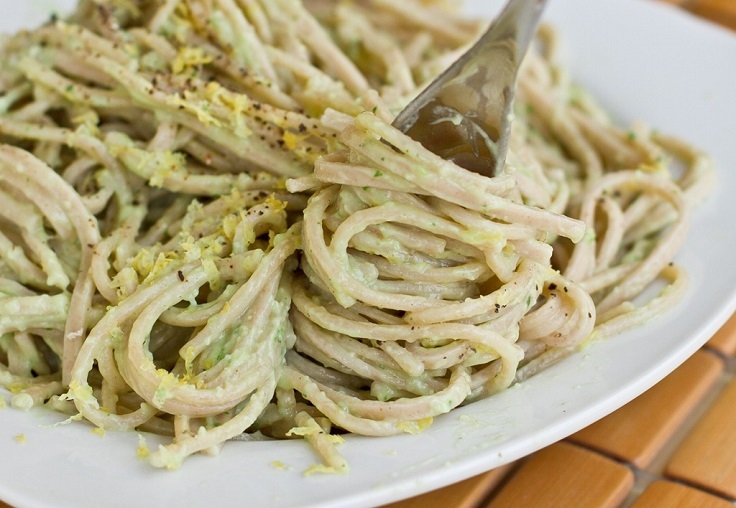 After the pasta is well boiled, place it in a pot, add the avocado sauce and stir it until the ingredients are well combined. FOr topping, you can add basil leaves, pepper or lemon zest. You were working all day, you’re tired and you’re hungry. We feel you. And here’s a recipe for you. 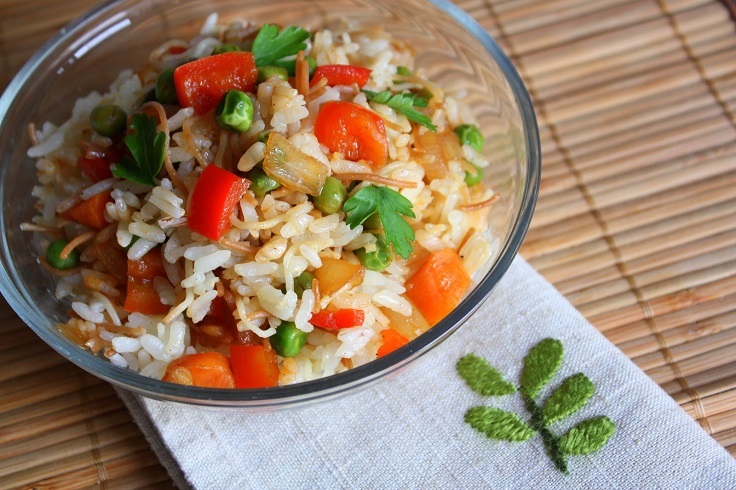 You need vegetables by choice, in this case you chop carrots, red onions and peas. Saute the onion and in the same frying bowl and add the carrots and the peas, and you can also add chopped ginger if you want. The final step is adding the chopped bell pepper, the tomato puree and the soy sauce. Mix everything with cooked rice for several minutes. The recipe serves 2 and is done in 25 minutes. 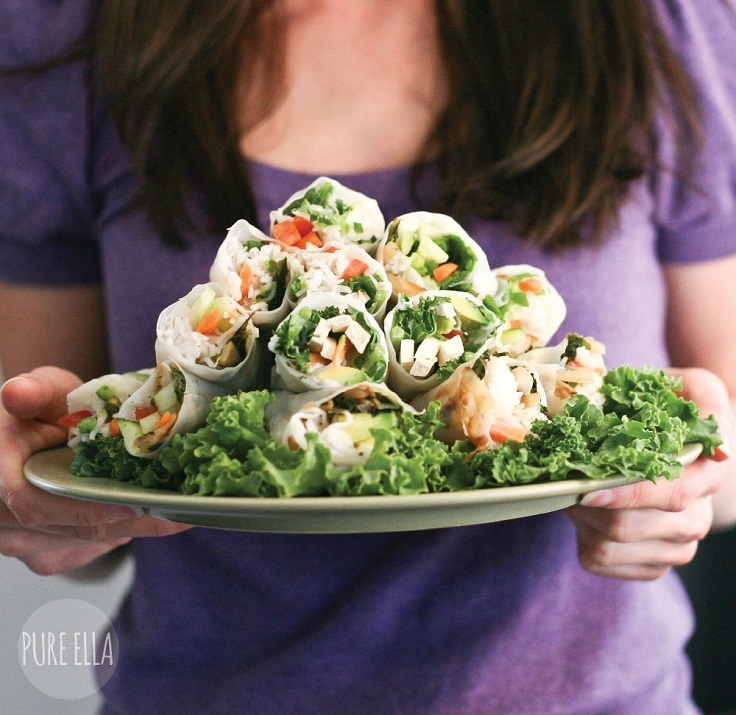 These rice paper rolls are a great way to satisfy your hungry stomach with healthy food and preparing them is very easy. You need rice paper discs, sliced organic tofu, whole leaves, organic kale, avocado, vegan mayo, bean sprouts and vegetables of choice, such as carrots and cucumbers. Just place all these ingredients in the rice paper and roll it. If you want a dipping sauce, you can prepare creamy tamarind sauce simply by mixing vegan mayonnaise, tamarind paste, gluten free soy sauce and cracked black pepper. 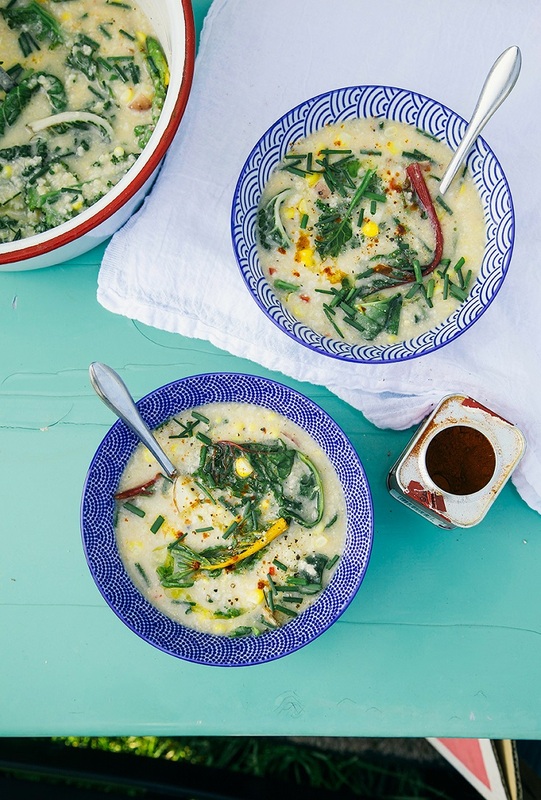 If you are looking for something creamy for lunch, here’s an idea for you: a chowder with greens. In a medium stockpot, boil water with stripped corn cobs, millet and a pinch of salt and cook them for about 15 minutes until the millet is tender. Next step is cooking together garlic, cumin, hot pepper and smoked paprika and after less than minute, add diced potatoes and 6 cups of the millet corn stock and boil the soup. Add the millet and cook everything until the potatoes are tender. If you want the soup to be more creamier, purée 5-6 ladlefuls of soup in the blender. 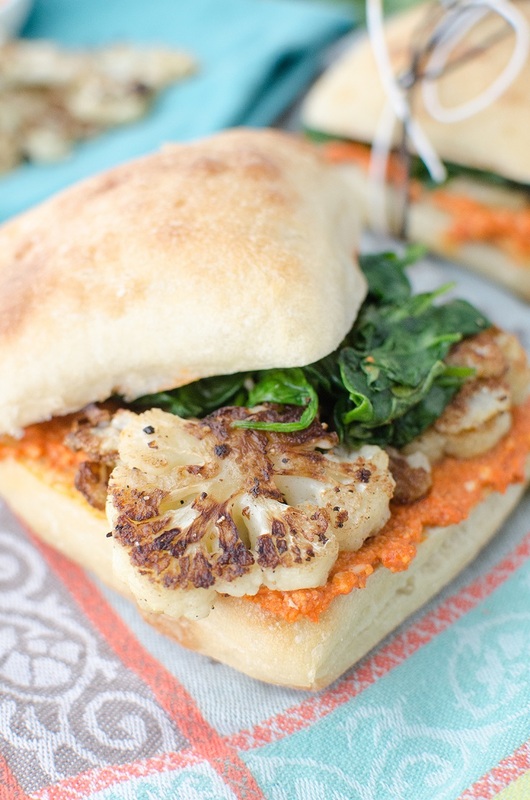 A ciabatta bread in a combination with cauliflower, spinach and Romesco sauce is a very good combination indeed! It’s perfect for any occasion and any time of the day, not just for lunch. To prepare it, fry the cauliflower until they don’t have brown, crispy edges, season them with salt and pepper and take them out of them. Next step is cooking the spinach and and garlic. When they’re done, add Romesco sauce on both side of the ciabatta bread and place the ingredients inside. You can make the sauce on your own too. In a food processor or blender, mix together chopped almonds, vinegar, peppers, garlic and olive oil. 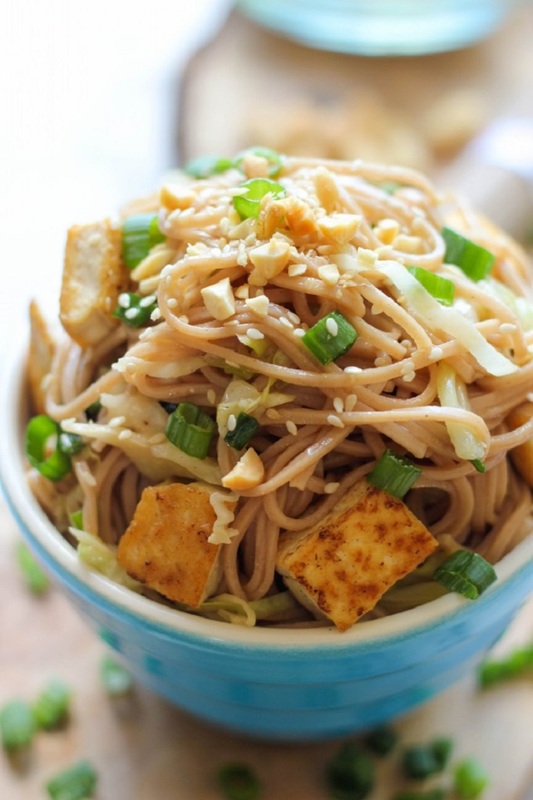 This recipe definitely should be on your “must try tofu recipes” list. First cook the noodles according the given instructions and in the meantime in a bowl whisk together rice vinegar, soy sauce, sesame oil, brown sugar and sesame seeds. Next step is to cook the tofu, set it aside when ready and then in the same skillet cook together the cabbage, the garlic and the ginger until they get tender. In a bowl mix everything together and you can add crushed peanuts on top for crispiness and Sriracha. These vegan burgers really deserve a try and you are going to love them. In a large bowl mix together vegan beef, green onions, ginger paste, molasses, soy sauce, vegan liquid smoke, onion powder and garlic. Mix them until they get well combined. Form the mixture into patties and fry them in skillet over medium heat. When they get crispy on the edges, reduce the heat and brush both sides of the burger patties with BBQ sauce. 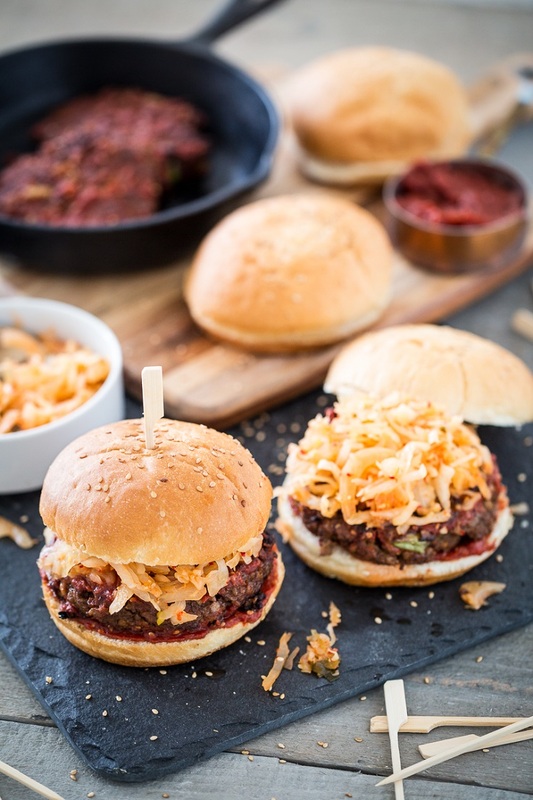 Serve the burger patties in a burger buns and then add kimchi on top. When it comes to the BBQ sauce, you can either buy or make your own. If you decide for the second option, then in a large bowl mix the following ingredients and then set the sauce aside: tomato paste, vegan liquid smoke, chili sauce, applesauce, agave nectar, sesame seeds, ginger paste and garlic. Salads are always a great choice. They are tasty and healthy way to satisfy your food craving, especially if you experiment more with the ingredients. 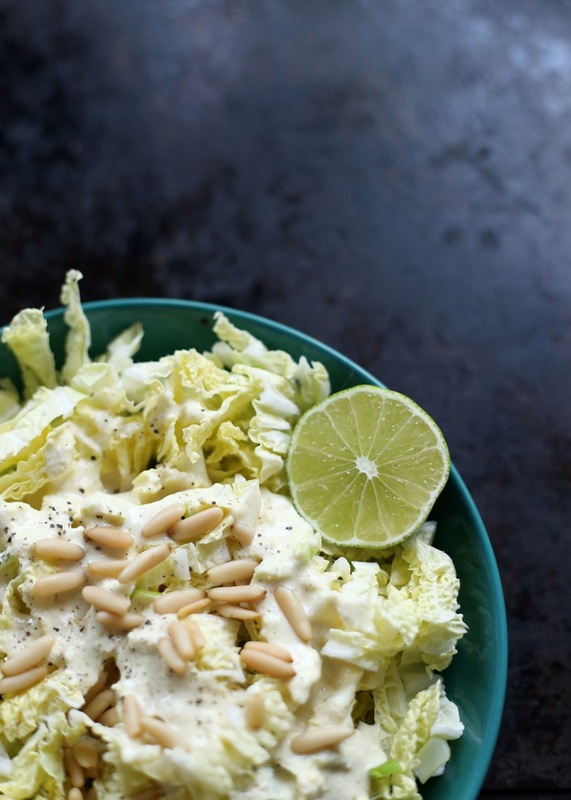 In this case, you can make yourself a Caesar dressing for your salad. For one serving, you need pine nuts, water, mustard, garlic, lime, vegan worcestershire sauce, olive oil and salt and pepper to season (check the link for the exact amount of ingredients). Before you start preparing the salad’s dressing, soak the pine nuts for at least 2 hours and after that, put all the ingredients in a food processor. When they’re mixed well together, you can pour the sauce over your salad.